Click here to see our opening times. All workshops include materials, refreshment break and garden entrance. Please phone Naomi on 01765 658009 to book a place. Fancy learning a new creative skill? 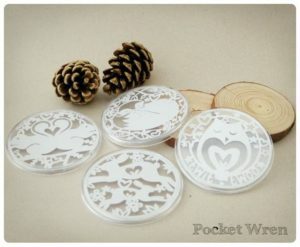 Come along to Pocket Wren’s workshop to learn the basics of paper cutting and enjoy a session of craft. With access to the beautiful gardens included, it is the perfect day out with friends or family or just for a bit of time for yourself! • Create a final project from a choice of my original templates. Don’t worry – drawing skills are not essential! You just need a steady hand and a bit of patience! You can expect to proudly walk away at the end of the session with some beautiful hand-crafted, woodland-themed items, including a key ring and a coaster! Afternoon – Enjoy a walk around the beautiful Himalayan Garden and Sculpture Park. Learn how to write beautifully using ink and nib on this modern calligraphy course with Sophie Roberts. Suitable for complete beginners this class will teach you everything you need to know starting right at the basics. After a brief introduction to the tools, you will start by practicing shapes and strokes and then move onto letter forms, learning how to write each calligraphy letter. By the end of the course you will have started to do joined up lettering to take onto work on any phrase, or word you wish. Sophie will be on hand to give you tips and techniques to improve your beginners hand and create your own unique style of lettering. All attendees will be provided with a Calligraphy Starter Kit, including handouts, paper, pen and ink to use and take home, providing everything you need to start your calligraphy journey! 13H30 Approximate finish time, leaving the afternoon to enjoy a walk around the beautiful Himalayan Garden and Sculpture Park (entrance included in the workshop price). Botanical Illustration is the art of depicting plant forms accurately, to capture their individual characteristics and to aid identification. This 3 day workshop will be in a step-by-step format, with demonstration and individual tuition from Bridget covering drawing, composition and watercolour techniques. Topics will include observation, drawing, creating form and mixing watercolours. Inspiration for your illustration can be taken from walking around the beautiful Himalayan Garden and Sculpture Park. Bridget Gillespie has been a Botanical Illustrator for over 23 years after taking a degree in Graphic Design. A request to paint a friend’s wedding bouquet led to botanical specialism. Bridget has exhibited in Cambridge, Durham, Yorkshire and London. In 2002, 2008 and 2017 she was awarded Gold Medals by the RHS who have purchased several pieces for their archive collection. 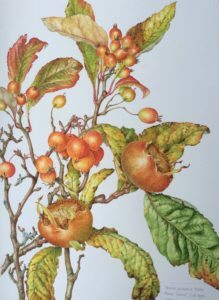 Bridget has works in the RHS, Hunt Institute collections and illustrated The Northern Pomona. This is course is suitable for complete beginners to intermediate painters. Join Anna Whitehouse, the Ceramic Artist behind the newly installed pollen grain sculptures, to create your own microscopically inspired masterpiece for the garden. The morning will be spent poring over fascinating microscopic images and exploring how these can be recreated in clay, using modelling and mark-making techniques. 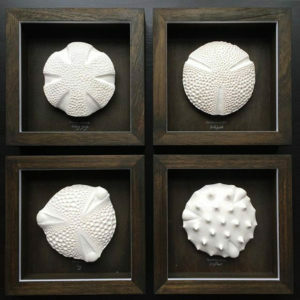 After a break for lunch (not included) choose your favourite design to produce a unique ceramic wall piece, to be hung in your garden or home. At the end of the workshop Anna will take all the pieces back to her studio to finish with a layer of the Himalayan Gardens’ own clay and to fire in her kiln. Work can be collected from Anna’s studio in Harrogate or at the Himalayan Garden and Sculpture Park. This is course is suitable for complete beginners and upwards. A workshop suitable for beginners and more experienced arrangers. The day will start with a demonstration by our tutor, Ann Simpson. 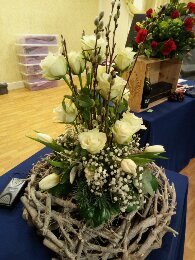 All materials will be provided and you will create, with Ann’s help, a beautiful design of summer flowers and interesting foliage from the garden. The design will be yours to take home to impress your friends and family. There will be time to visit the garden during the afternoon. A friendly and informative course which will focus on the creation of a woodland border in your own garden, to create an area of interest in the garden. 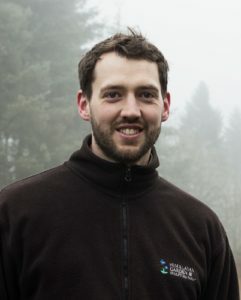 Woodland plants add magic to any garden and Phil will provide advice on the unique challenges of woodland gardening including how to create the perfect light levels, soil conditions and choosing the right plants to create year round interest. Phil will show you how to create layers within the border by using a range of interesting plants with beautiful flowers and spectacular foliage. Our Senior Gardener will start with a short lecture on and slide show on the history and development of the Himalayan garden and Sculpture Park. This will be followed by a friendly and entertaining course for novice and first time garden owners; focusing on how to look after flowers, shrubs and trees throughout the year. There will be a hands on element to the course, so please dress appropriately and bring gardening gloves. There will be time to visit the Gardens during the day. Enter your email to stay in the loop with all the latest news.